Removes all traces of nail lacquer without streaking or staining. 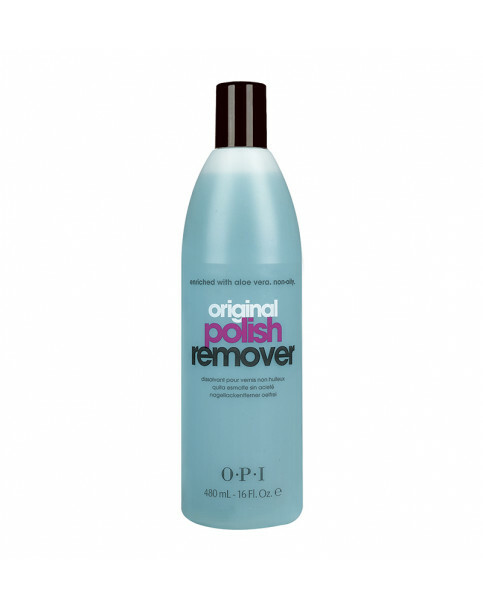 Infused with Aloe Vera to help nourish and condition nails, OPI Polish Remover has a mild Acetone formula which effectively removers nail lacquer without streaking or staining nails. A true manicure essential and one of our best sellers. For lacquer removal use a small amount with lint free Expert Touch Wipes.